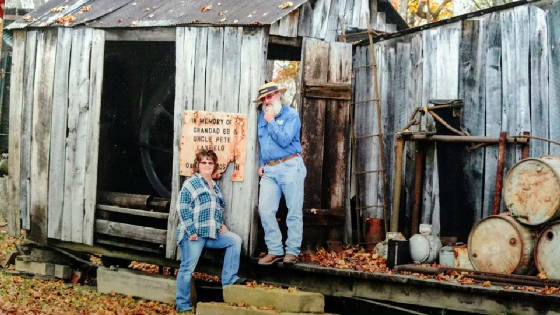 Home | History | Standard Rig Photos | Show Schedule | Contact Johnnie & Kathy | Boston's Antique Engine Show | 70 HP Bessemer | Our Business - We do Dirt! Hi my name is Johnnie L. Boston. 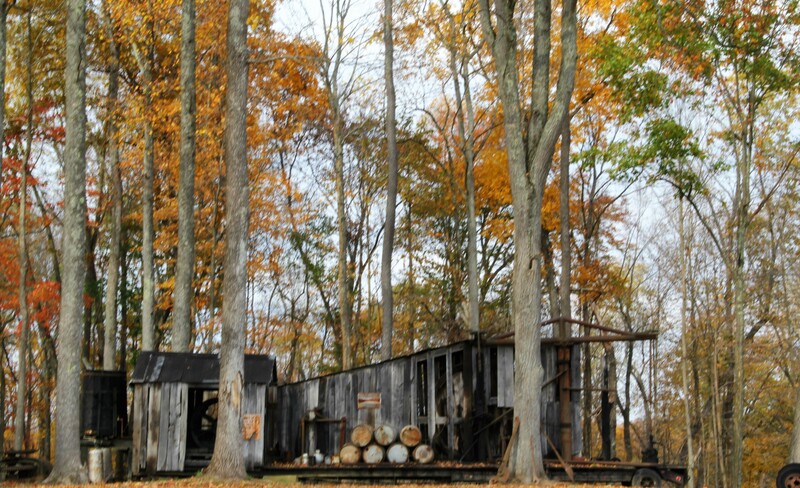 I am a native to Ritchie County, West Virginia. 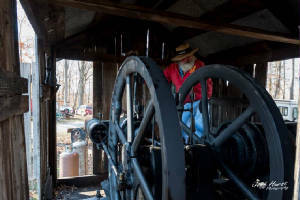 In this site you will find information about a 15 HP Reid engine and the story behind it - one I proudly share with others. I hope you enjoy. 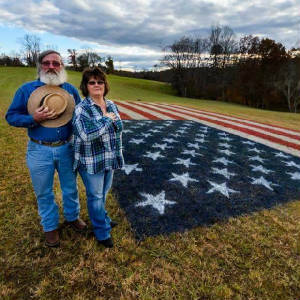 American Flag was painted on our farm by Kathy to honor all Veteran's that attended our November 2016 show. Russell No. 6 is a standard rig powered by a 15 hp Reid gas engine that was on my family home place for many years. It was pumped by four generations of my family: my Great Granddad John Layfield, my Granddad Eb Layfield and Uncle Pete Layfield whom were brothers, my father John Boston and including myself, Johnnie L. Boston and my brother Jimmy Boston. The home place where the standard rig sat still belongs to my brother Jimmy. The standard rig was still in operation until 1995. Old gas engines and standard rigs like this one are being replaced by modern pumping jacks. The actual well where the standard rig stood is still producing with a modern pumping jack today. Russell No. 6 once was pumped on my old home place. After purchasing the engine from the owners, I took it apart and reassembled it on this trailer. I used to take it to several fairs and festivals through out the year to share a very important piece of history. It now stays put on our farm in Pennsboro. The standard rig in its permanent home. Johnnie L. and Kathy J. Boston.